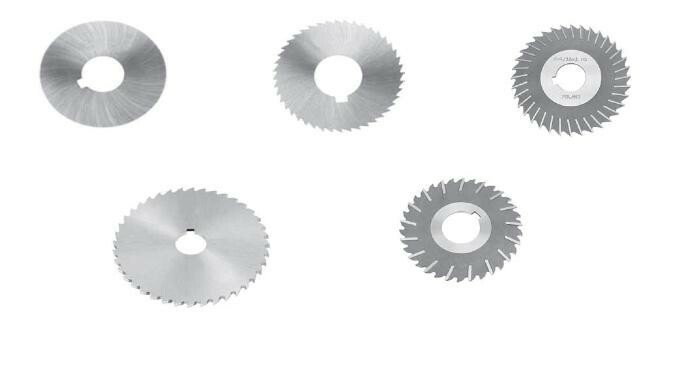 •designed for cutting aluminum, brass, soft metals, and plastics in form of tubing, sheets and light extruded rods, bars and shapes. 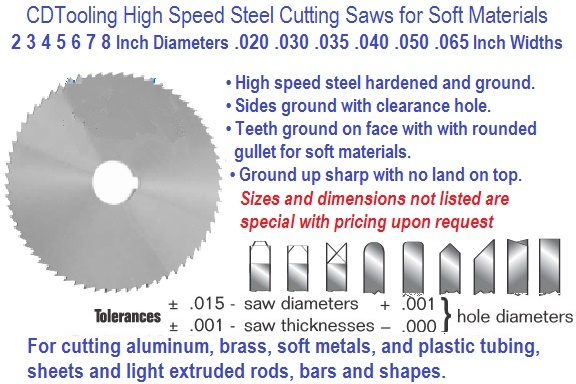 • high speed steel hardened and ground. • sides ground with clearance hole. • teeth ground on face with with well-rounded gullet designed for soft materials... plus ground up sharp with no land on top. 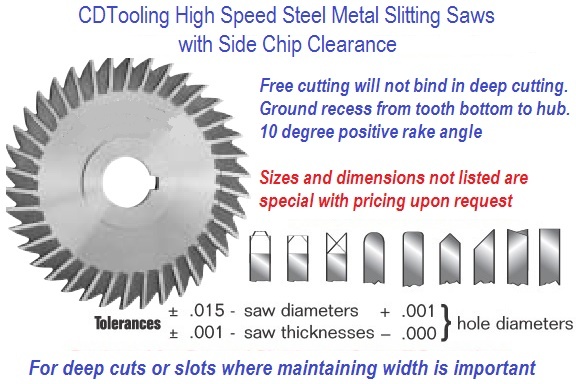 • designed for shallow slotting cuts not recommended for deep cuts. 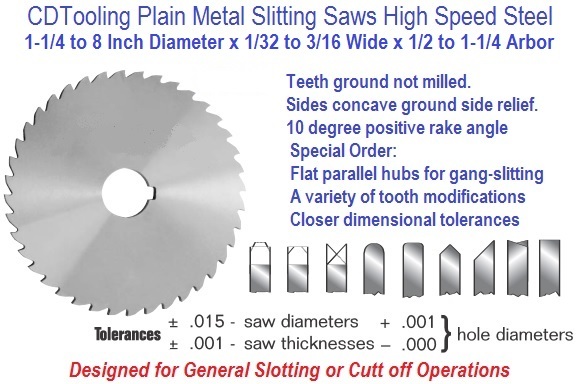 • teeth ground... not milled... insure saw blades run “true-concentric”. • concave ground sides insure proper side relief. • available with any number of teeth...special order. 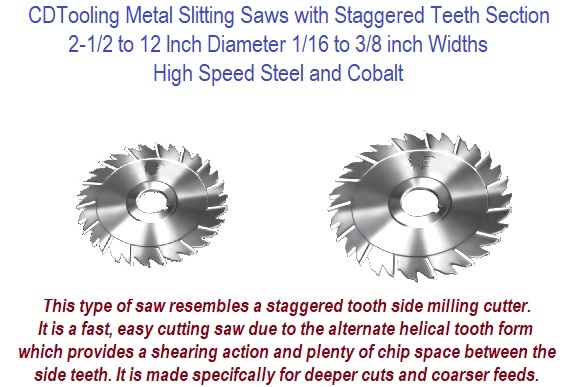 • closer dimensional tolerances and tooth modifications available...special order. 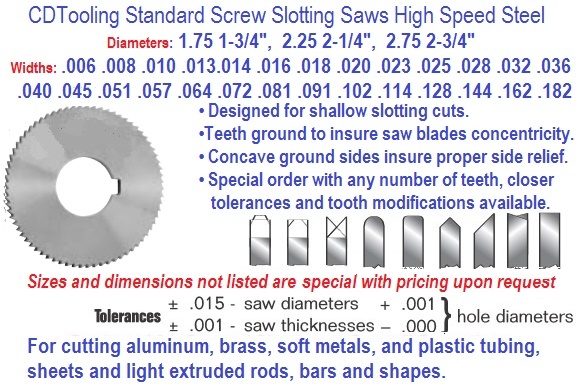 The varied sizes, tooth configuration, special shapes, and special ID and OD's, used in the Screw Machine, CNC Swiss Precision, Machining, and Electric Motor Repair Maintenance and Repair Industries.